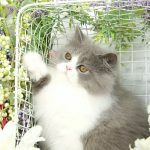 Silver Teacup Persian Kittens For Sale - Doll Face Persian KittensPre-Loved Persian Kittens For Sale – (660) 292-2222 – (660)- 292-1126 – Shipping Available!! Top 3 – Must Have Products! Pre-Loved Persian Kittens For Sale – (660) 292-2222 – (660)- 292-1126 – Shipping Available!! Specializing in Doll Face Persian Kittens for Sale since 1989 – A+ rating with the BBB! Himalayan and Exotic Shorthair Persian Kittens also available! Click below to browse our available kittens by color category. 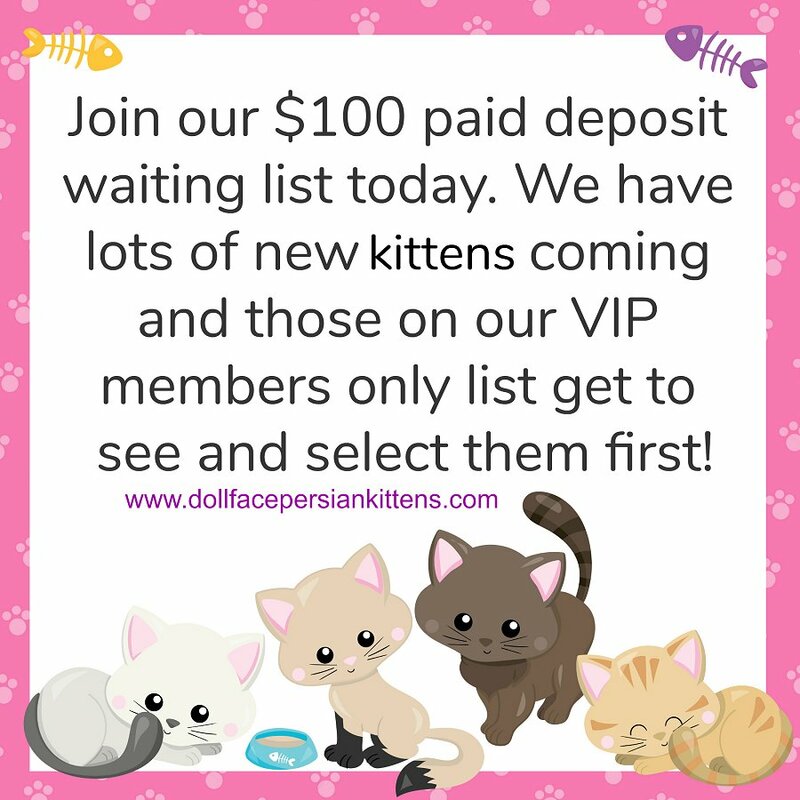 All deposits are taken in good faith and are 100% NON-REFUNDABLE so please be sure you are serious about purchasing a kitten from us. Secure your kitten using the Paypal button below. We specialize in highly unique, ultra rare and one of a kind Persian coat colors. If you are one of those people that crave originality in life, you have arrived at the right website. We offer an array of designer patterns synchronized with elaborate custom colors. The majority of our kittens are like a one of a kind Picasso painting. We hope you enjoy your visit to our furry purry art gallery. See a sample of our Instagram feed below! Be sure and follow us and we will follow you!!! Silver Persian Kittens come in two coat patterns – Shaded Silver & Silver Chinchilla. Silver Chinchillas have a white undercoat sprinkled with a faint silver color. Shaded Silvers have a light hair base with more of the shaft containing color. Silver Persian Kittens as well as our Golden Persian Kittens are the smallest in size and are considered Teacups. While we may have other coat colors that are smaller, genetically these two color categories are the smallest! If you are looking for a tiny Persian kitten, we highly recommend a Silver or Gold. 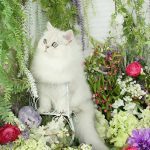 Doll Face Persian Kittens – The most trusted name in the industry since 1989. Reserved – The kitten has a 48-hour holding deposit placed on he or she. Sold – The kitten is paid in full and no longer available. Prices are subject to change without notice, the only way to lock in the current price is by placing a deposit. Click their photo to find out more! Don’t settle for imitations, it could cost you thousands and a broken heart in the long run. Let our 30 years of dedicated service be your peace of mind. Quality bred kittens are becoming harder and harder to find, with so many “pop-up” breeders that are here today and gone tomorrow, it is next to impossible to locate good quality lines to continue a sound breeding program. It is sad to see what has happened within the Persian breeding community during the last 3-5 years. Rest assured we will not jeopardize our 30 years of quality assurance by breeding ANY type of inferior lines. You can continue to trust with your heart and hard-earned dollar with us because we know, buying a pet on the Internet is not easy or to be taken lightly. Every decision we make is in the best interests of our cats and clientèle. FYI – Updated photos always result in the kitten’s price going up. This policy is put in place due to numerous non-serious inquiries in the past. The ONLY way to lock in the current price is to place a deposit or pay for the kitten in full. We update photos on our own time schedule and without prior notice, once taken and uploaded to the world wide web the price will go up. Placing a security deposit is the ONLY way to hold/secure a kitten. The deposit amount of $200 will hold your kitten for a period of 48 hours. 3.) Our willingness to keep them back as a future breeder. Don’t forget to Like us on Facebook!!! Like us on Facebook HERE!